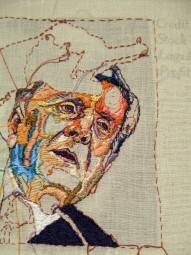 Bay Area mixed media artist Lauren DiCioccio will present a new series of hand embroidered and hand sewn newsprint and fabric works in her solo exhibition, SEWNNEWS and Other Investigations at Quicksilver beginning on February 22nd. The Show continues through March 30th. 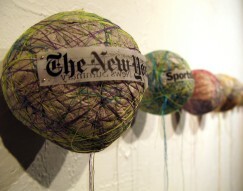 Examining the role of the daily newspaper in a world where current events information is increasingly gathered through the internet and television, DiCioccio uses exquisitely detailed hand work, quilting and embroidery to reinvent the newspaper as a tactile and intimate personal object. 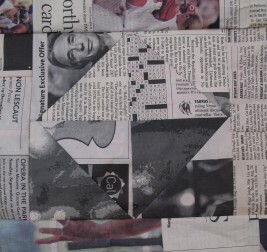 Through her work she transforms the daily newspaper in ways that illuminate and remind us of the many personal rituals we have associated with reading the daily paper, connecting us with the world outside and beyond our everyday lives. 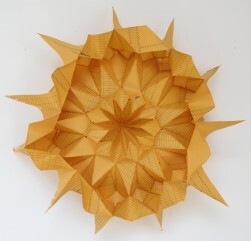 Lauren DiCioccio received her BA in Art and Art History from Colgate University (New York) in 2002. 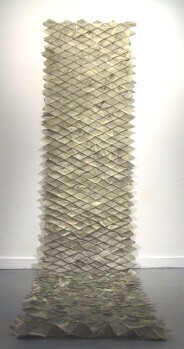 Recent exhibitions include Jack Fischer Gallery and Intersection for the Arts, both in San Francisco. 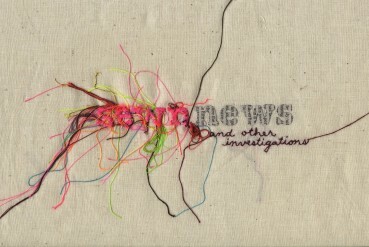 Sewn News and Other Investigations is her first solo exhibition. 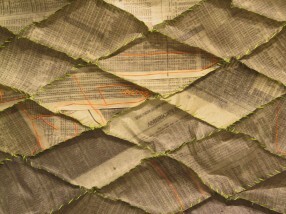 Also for this Show DiCioccio turns her needle and thread to office paper and plastic bags. "Just as technology has changed the role of the newspaper in our lives, the computer is replacing the way we write and compose the written word, along with contributing to the disappearance of lined and graphed paper," she says. Reconstructing office paper and plastic bags into sculpture, DiCioccio highlights the beauty of their minimalist patterns and soft hues by creating fragile and delicate forms, transforming these materials into ghosts of commonplace objects.